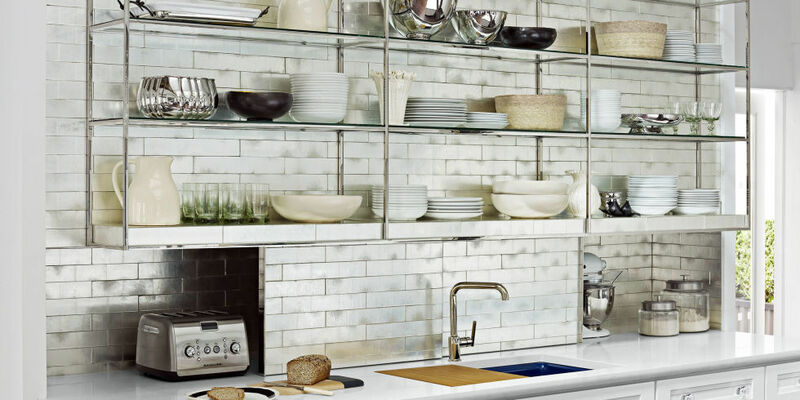 8 smart and budget-friendly ways to upgrade your Kitchen! As rightly said by someone, it is also in the hands of money! 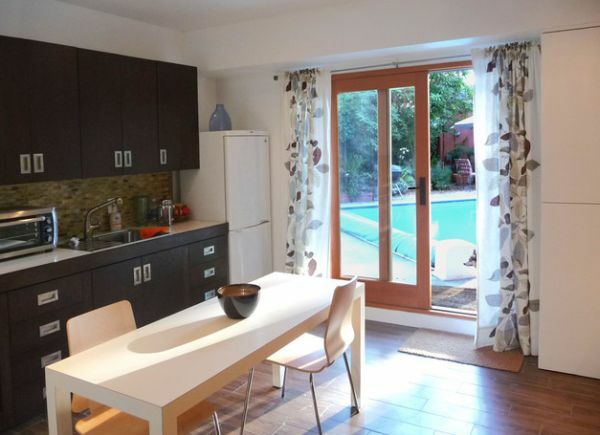 But what to do when you are short of money and still want to make your kitchen beautiful? Well, the answer is – Get creative! In this blog, we are discussing 8 smart ways to give a complete overhaul to your kitchen without burning holes in your pocket. 1. 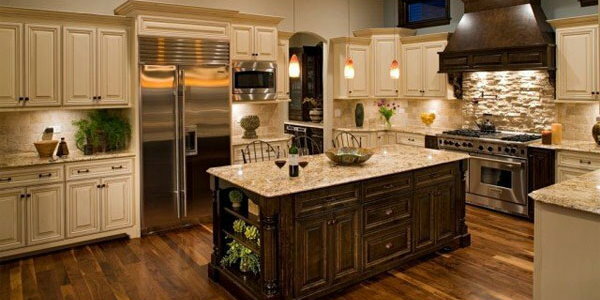 Start with the lighting: Lighting plays a big role in governing the ambience of your kitchen. No longer that plain simple LED bulb in fashion. Grab the attention of your visitors by installing new pendant lights and make them the focal point of your kitchen. 2. Get paint on your hands: The first DIY is to paint half the cabinets for a high contrast look. 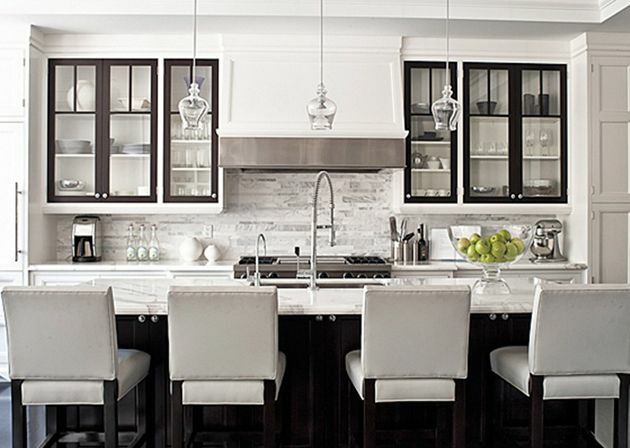 A palette of black and white with metallic accents will give your kitchen a sleek and modern look. Use your colour palate in harmony with your house, yet somewhat different and defining. 3. Finish the look with Roman shades: To add a dab of elegance to your kitchen and lend a fresh contemporary look, add Roman shades. You have used contrasting colours with metallic accents, now you need to add some soft touches to make it feel like home, Roman shades are good at this. 4. Upgrade your dishes and crockery: Changing the dishes, crockery and silverware creates the biggest impact in kitchen makeovers. This is the easiest step. All you need to do is to buy serving platters online. Similarly, one can also buy platters for bars online from reputed kitchenware sellers in India such as Arttd’inox. 5. Remove upper cabinet doors: Now that you have got everything online from Service platters to glasses. It’s time to show ‘em off! Remove the doors from your upper cabinets and let your new purchases shine through. 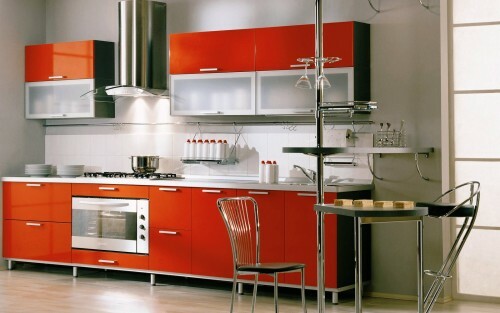 This renders a very powerful impact in terms of kitchen aesthetics. 6. Add-in Sconces: You have created an open shelf plan, now it’s time to add a dash of lighting by adding swing arm sconces above your open shelfs. The effect it creates is mesmerizing. 7. Redesign your floor: You have made all the immediately visible changes, now comes the part of working on subtle changes to complete your Kitchen makeover. Floor is one of the biggest areas that gets neglected in the kitchen. If you have a wood floor that is not in its best shape and you don’t want to call in professionals to refinish it, try painting it. Or, if you have a marble floor but you are bored by its old design, use vinyl to cover it. 8. Add some rustic elements: To add warmth to your kitchen space, add some farmhouse accents. Replace your cutting slab with timeworn antique wooden slab, hang some copper pots on the ceiling rack or change your kitchen door to a sliding barn door. Implement these 8 smart ideas to renovate your kitchen on budget and give it a fresh look that is appreciated by your neighbours and guests.